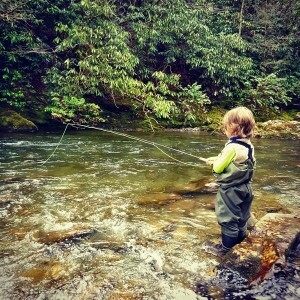 The 16th Annual Smoky Mountain Spring Trout Tournament gets under way this Saturday at sunrise. 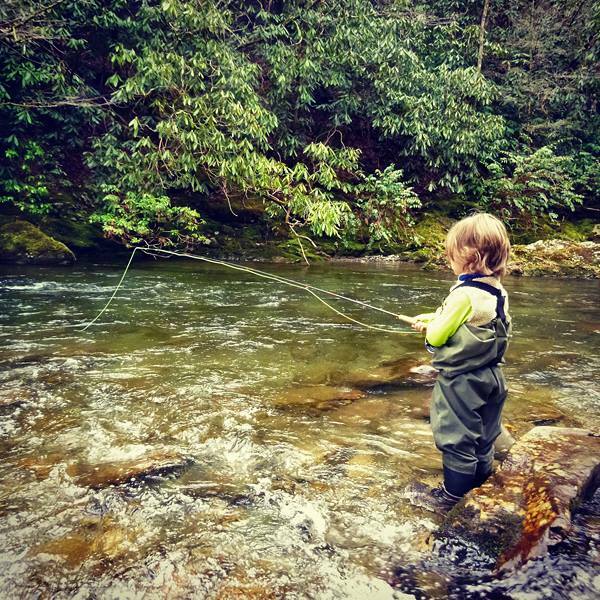 The largest, and by all accounts best organized, fishing tournament in the Smoky Mountains claims the first full weekend in April once again as its own. More than 20 miles of local streams in Pigeon Forge and Gatlinburg have once again been stocked with trout for the occasion, with thousands of dollars worth of prizes to be awarded. The tournament is held twice a year, in spring and fall, and a total of 10,000 trout are stocked, with $10,000 in prizes. Several hundred fisher-folk gather for these events, which continue to grow in popularity. With many easy fishing spots, the tournament is family fun for all members, young and old, and for both seasoned and beginning anglers alike. There’s a $500 prize for biggest trout caught, and the same amount for the SMALLEST one caught – it’s an equal opportunity contest! And there are several children-only fishing spots to even out the chances. The dates are Sat-Sun, April 4-5, 2015. Sunrise happens around 7:20 am, and close of day weigh-in is at approximately 4 pm on Saturday and 2 pm on Sunday. Weigh-in happens at Patriot Park in Pigeon Forge at traffic light #7. Entrants must be present at weigh-in to win. All entrants must register beforehand. A fishing license is required (different for residents and non-residents) and state and local regulations apply. Full information and an online registration form can be found on the Smoky Mountain Trout Tournament web site, and call 865-661-FISH for more information. You can also register at Smoky Mountain Angler, 466 Brookside Village Way, on East Parkway in Gatlinburg’s Winery Square.